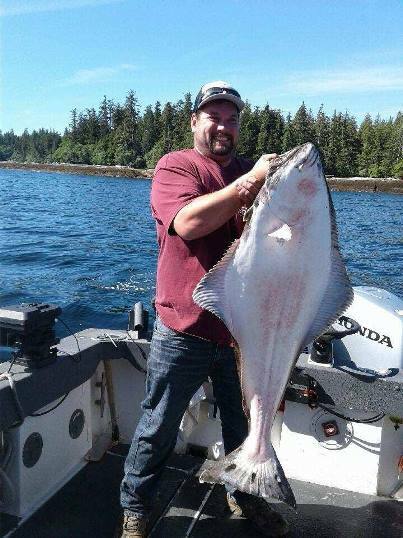 Anglers Adventures is the best provider of halibut fishing you can find. Our all-inclusive halibut fishing trips take place in and around the waters of the aforementioned Ketchikan, Alaska, which for our money is the most beautiful area for fishing in the entire world. It is also the ideal location for halibut fishing. If you are looking for an all-inclusive fishing trip with a highly reputable provider in one of the most beautiful places on the planet, Anglers Adventures halibut fishing excursions are probably exactly what you are looking for. We provide you with all essential gear so that you can travel here light and still concentrate on fishing. We supply all the bait, tackle, and lures you need to catch the halibut you have been coveting. We have snacks and drinks for you and your fellow adventurers. We offer full day, half day, multi-day and custom charters. And we provide all of this on a boat, The Sierra Dawn, that is ideally suited to the perfect combination of adventure, safety, comfort, and luxury. Though we put a premium on adventure, Anglers Adventures ensures that behind the scenes your safety is prioritized. The captain of The Sierra Dawn is Brian Ringeissen, an experienced and well respected captain. Captain Ringeissen operates the boat, which offers state-of-the-art safety equipment (chart plotter, GPS, and depth-sounders), power suitable for the rugged waters off Ketchikan, and comfort (including a private bathroom and a heated, enclosed cabin for when you need to take a breather from your halibut fishing adventure. Anglers Adventures wants you to know the exhilaration of spending time out on the water and straining your muscles to land a halibut. Give us a call at (907) 254-0880, send an email to brian@anglers-adventures.com, and we will be happy to schedule your halibut fishing adventure.